Finished pics! Dreadnought for me? I've got a (welcome) gap between commissioned builds. I have a rebody of a Cort Curbow coming up but, in the scheme of things, that isn't a major undertaking. 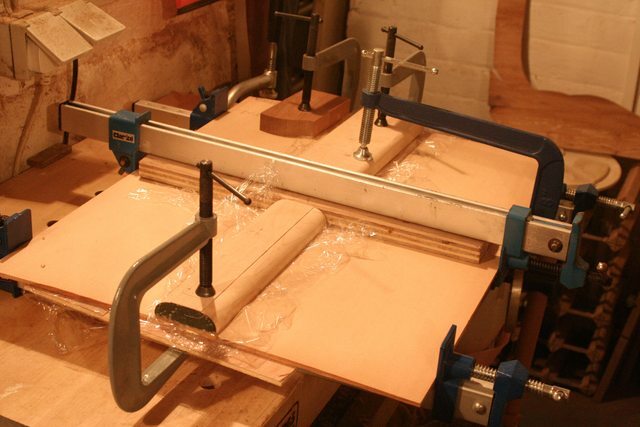 One of the things I've been doing in the extra time is sorting out a better arrangement with routing - I've invested in a self-assembled foldaway router table and am currently building a thicknessing rig but I've also been looking at the crazy amount of 'oooh that looks nice' wood that I've acquired over the past few years. 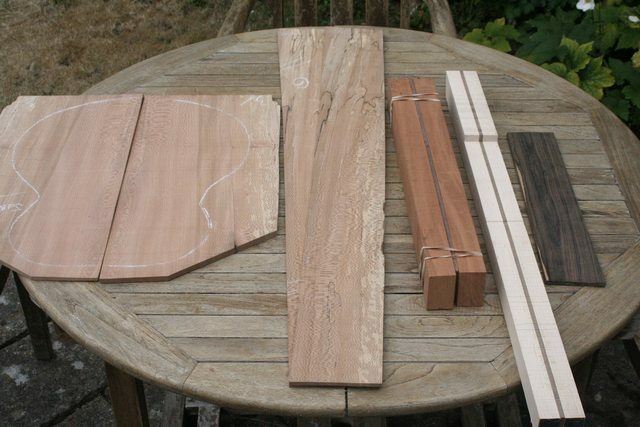 Next to that is another neck offcut - maple /walnut and lastly an offcut of Macassar ebony fretboard from my recent 6-string electric build. 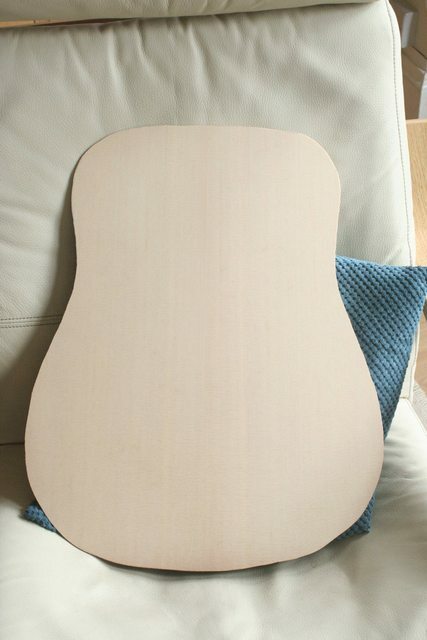 Well....that's most of the wood for a dreadnought - with a choice of neck to boot! And I've got a few new things in the workshop that need testing out. And I've always wanted, and never had, a dreadnought. That 2015 one is beeyootiful. 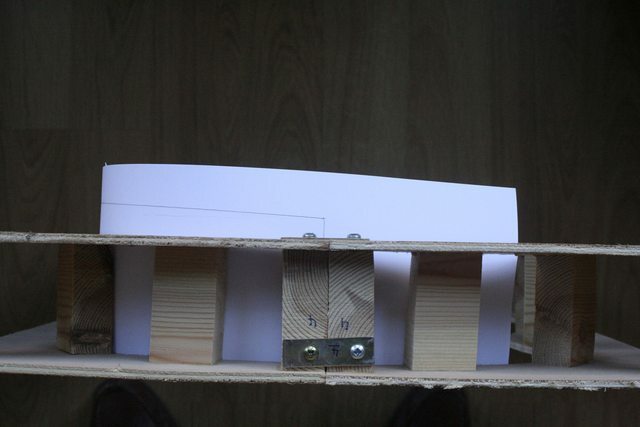 I really like the choice of wood for the sides of your previous build! In the early stages, my approach on this will be a bit brutal. The storage of the back and side wood has been poor - there's been a bit of dishing and there's been a bit of what looks like water damage on one of the edges of the sides set that was there when I bought it. So basically, rather than hours of planning, scraping and sanding - only to find out that there is not enough usable area - it's doing what you should never do with figured woods - through the Makita thicknesser down from about 7mm to 2mm at 0.5mm a time. The water (?) damage on the sides is on the opposite side to the bookmatch join and should be well within the trim allowance of the sides. Again, I will check later today the usable dimensions. 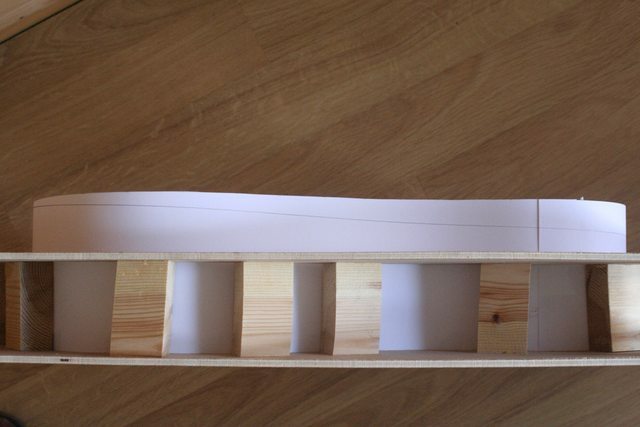 So, assuming that the dimensions are usable, the next proper job is going to be bending the sides. 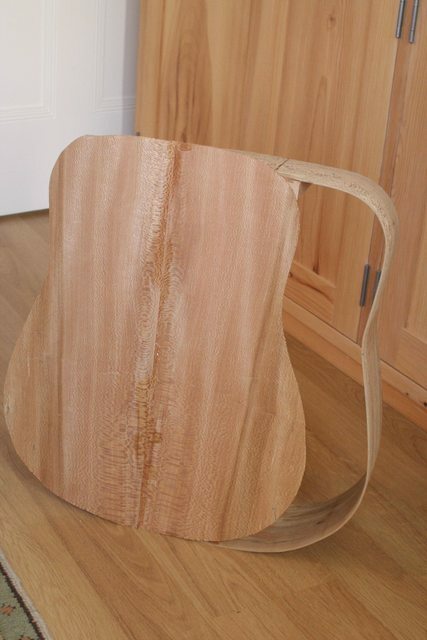 If they bend OK, we have a live project, if they don't I'll use up the wood for headstock plates/inlay fills, etc..
Whatever, this will be a background project as it's only for my own use so may take some time! Thanks! 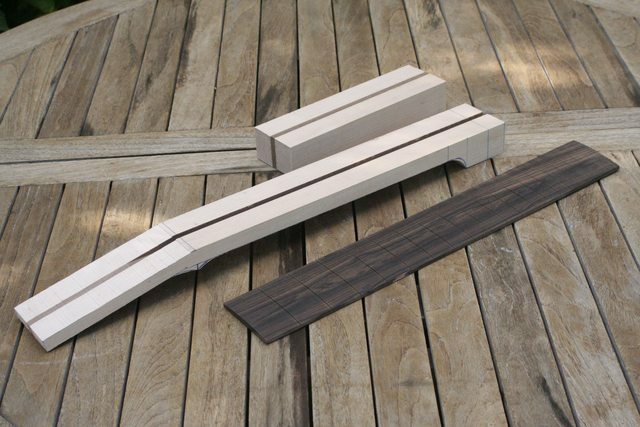 The pieces for this project are another two slices from the same cut so should be pretty identical - assuming, ref my comments above, they are actually usable. OK - rapidly onto the go/no-go stage. 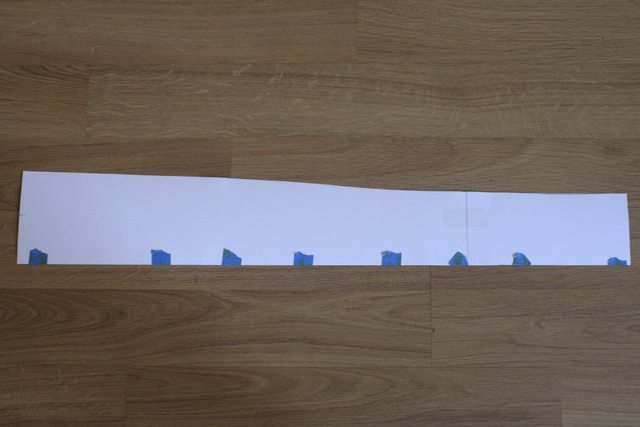 Basically, if I split the sides when bending them, then the project is dead. So I'm going to do that early on. 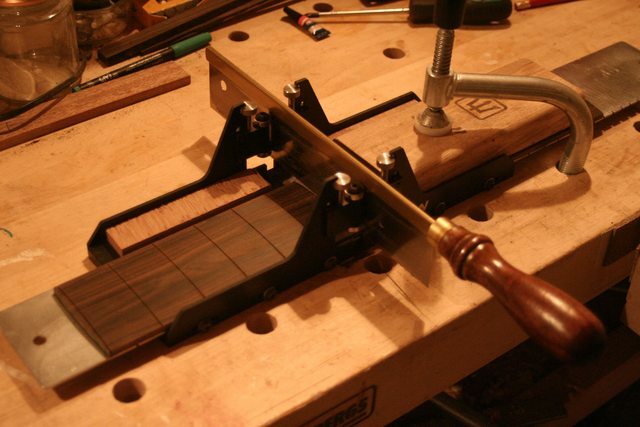 I follow every single hint and tip that successful luthiers here and elsewhere suggest. No rebellious-against-convention Rogers for acoustics! OK - so that's easy. So just cut the blank with that straight taper, right? 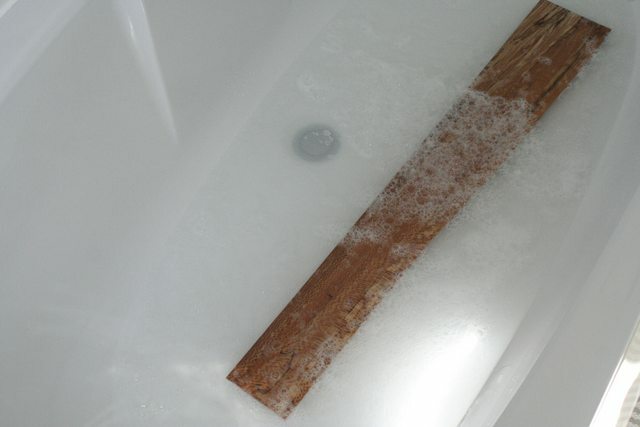 Am I using MrsAndyjr1515's leftover bubble bath water? 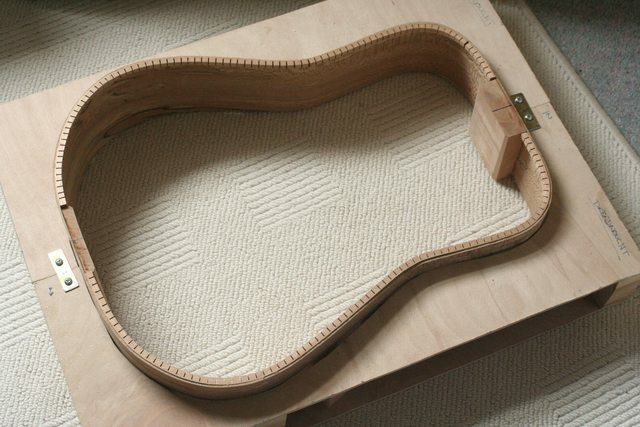 No - I am following a respected acoustic luthier's conviction that fabric softener make a big difference to the bendability of figured woods. I question not. I just follow. Great stuff - thanks for sharing. I love build threads. Epic Andy! Can’t wait to see the build unfold, thank you for taking the time to write up and document it all for us! Always be yourself! Unless you can be Batman, in which case always be Batman. My boss told me "dress for the job you want, not the job you have"... now I'm sat in a disciplinary meeting dressed as Batman. I’ve never really thought much about the mechanics of building acoustics before, so I’m watching this with interest. Good luck with the build. Still - with that tweak it works well enough to be able to just finish it off with 15mins of a radius block after 20 mins or so routing down to final size. Then onto the G&W mitre box. Theoretically the scale should be 25 3/8" but I have a 25 1/2" template already - should be close enough as the guitar is going to be for my own use. Folks may have seen one of my previous threads where I scrapped a fretboard using this rig the very first time but, now that I've found a decent method of setting it up and securing everything from moving, it works well. 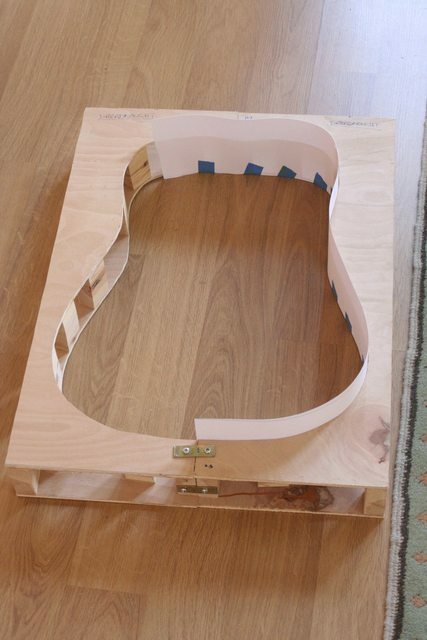 Thanks for the build diary - very timely as my own first acoustic build is under way (albeit rather slower than you). 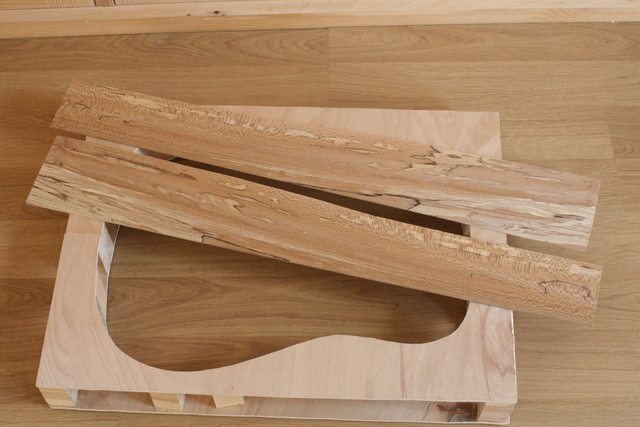 I'm not certain yet that I will go for the maple neck but have started to work on it. The heel will have to have an extension added whatever, but the maple blank isn't deep enough to do that with just one - it will end up being a three piece heel. 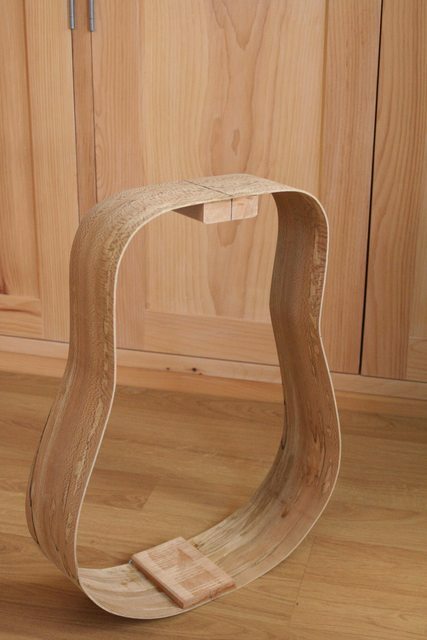 I'll have a think whether I can add a contrasting wood in there or whether that would look naff. 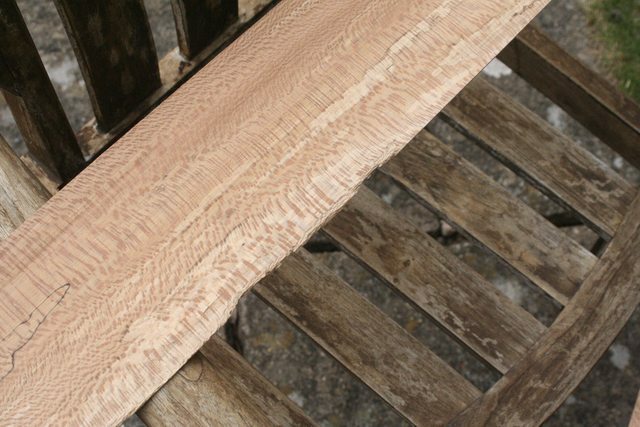 If so, I'll revert to the mahogany / walnut blank I've also got and which is a touch deeper and would do achieve a two piece heel. 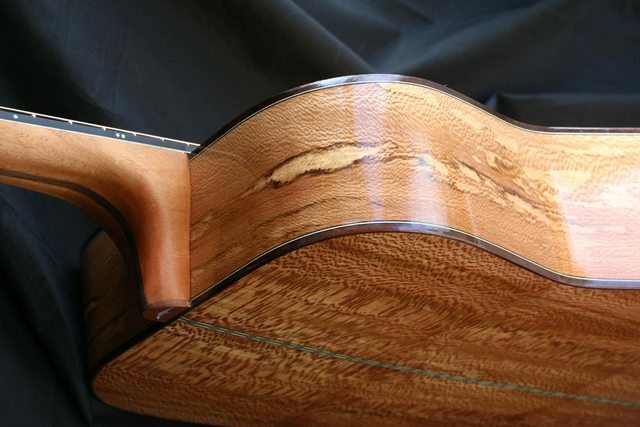 I tell you what, after the recent spate of neck through basses, these necks are TIDDLY! 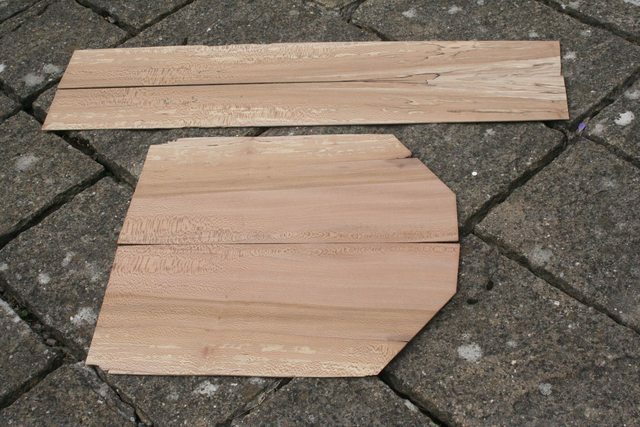 The top wood has arrived (some lovely AAA grade sitka spruce from David Dyke) so I've planed the joining edges using the 'offset fence' technique on the router table and now am gluing it prior to thicknessing it from 5mm down to 2.5 - 3mm. 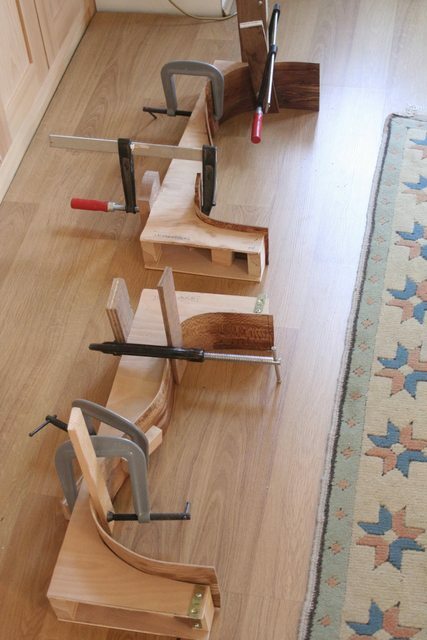 The only clamps applying any pressure are the three sash clamps - two on the bottom and one on the top. 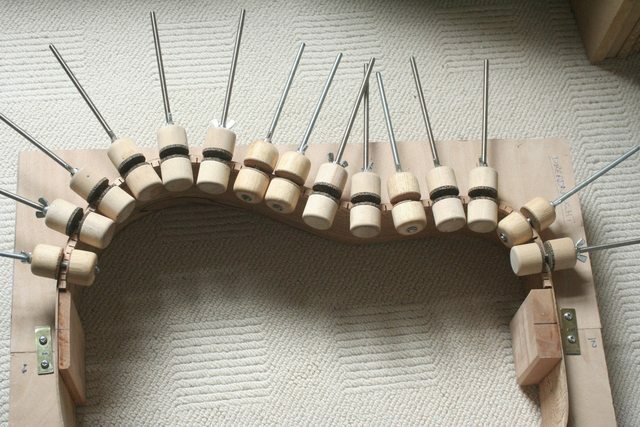 The rest of the clamps are just gently holding the cauls, top and bottom to prevent it bowing or twisting. I will be doing the thicknessing using hand planes and cabinet scrapers (gulp) once the glue has fully dried overnight. 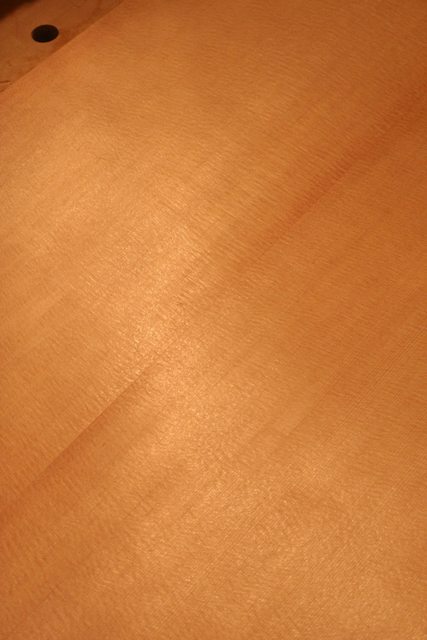 I think this afternoon will be taken up with me honing plane blades and burnishing scrapers! 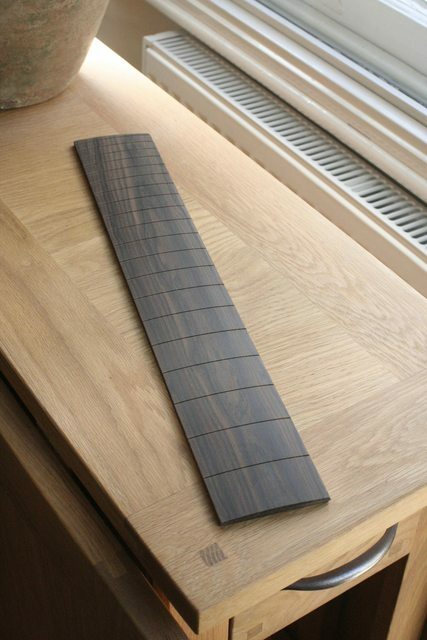 There are various ways of thicknessing an acoustic top. 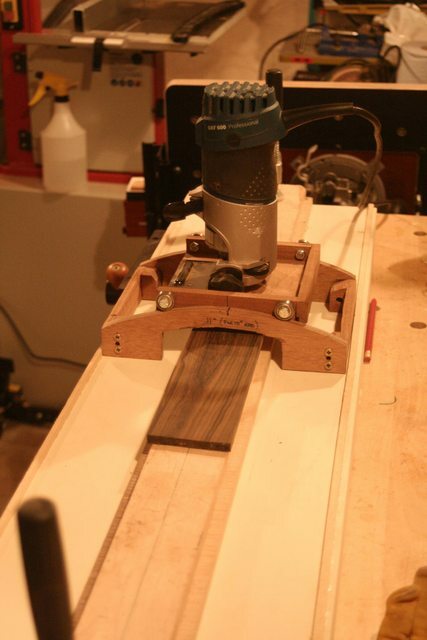 In the end, I used a similar method to one or two classical guitar builders I've seen in various places. 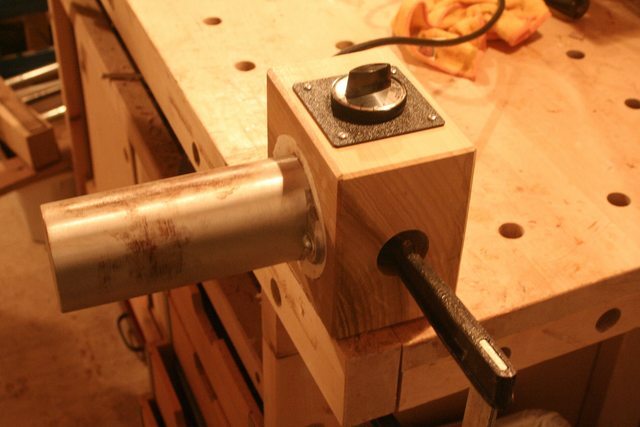 Sounds surprising, but it uses a block plane! When I was about 3.6mm, I moved onto the scrapers. This is now down to 3.3mm and I will move to a large sanding block to drop it down to about 2.9mm. 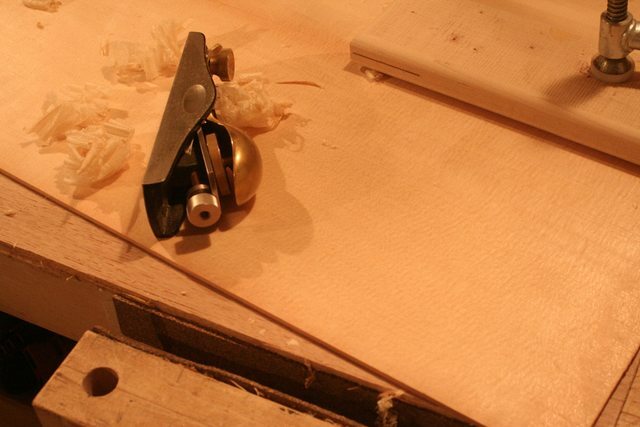 I say about, because I am using the tap tone approach (great video on one of Robert O'Brian's 'Luthier Tips du Jour' videos, although he uses a thicknesser sander) rather than aiming for a specific thickness. I will not, however, drop below 2.7mm tap tone or not! 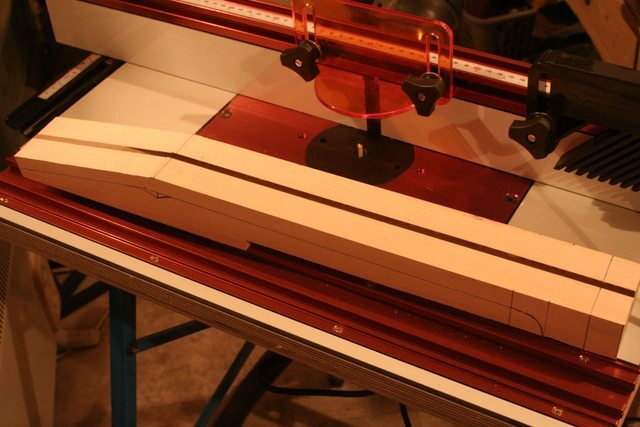 And in the meantime, the first length of kerfing strip goes on. 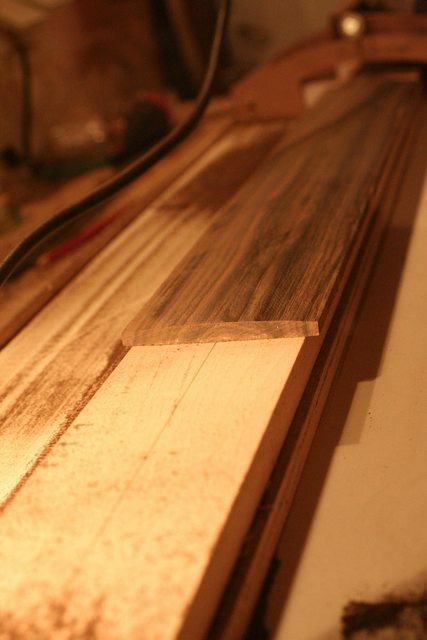 This is the strip that the top and back will glue onto. It is set a mm or so higher than the sides because the top and back will be dished - the kerfing will be sanded down in the radius dish so that is ends as a close fit to the dished top and back before gluing - I'll explain that better when I have some photos to illustrate it! That's one side of the kerfing strip done. Later today I'll do the other side. Absolutely in awe of your skills. 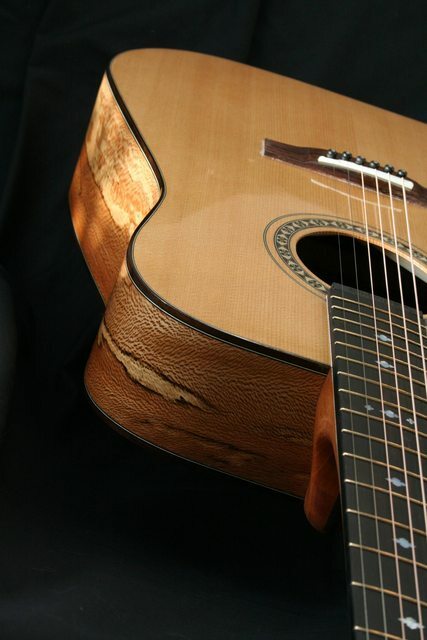 I thought the swift basses and @impmann ‘s alembic influenced build were fantastic but that acoustic! You keep surpassing yourself. I can see I’m going to have to start saving for a commission one of these days! 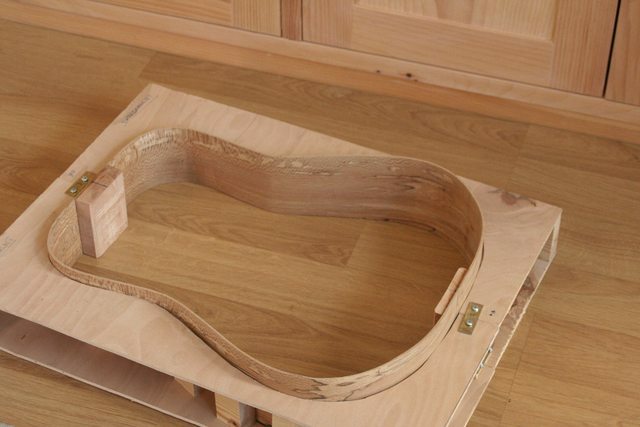 How do you feel about making a cello? Looking very nice Andy It's amazing how much wood will bend when it's wet. @Sporky - are you suggesting the Sporkcello project is dead? nooooooooooooooooooooooooo.....!